The Bell Tower Museum was established in 1995 to store St. Peter’s archives. There is a collection of photos, newspaper clippings, artifacts and written records of St. Peter’s, its people and the early community of Erindale. Begun by Thompson (Tommy) Adamson, a descendant of the founders of St.Peter’s, the museum committee welcomes any contributions to our local museum. The 175 Years of History, a book of Tommy Adamson’s memories and the early life of St. Peter’s, was published in 2000. There is also a Thompson Adamson Reference Library in the upper level of the narthex. 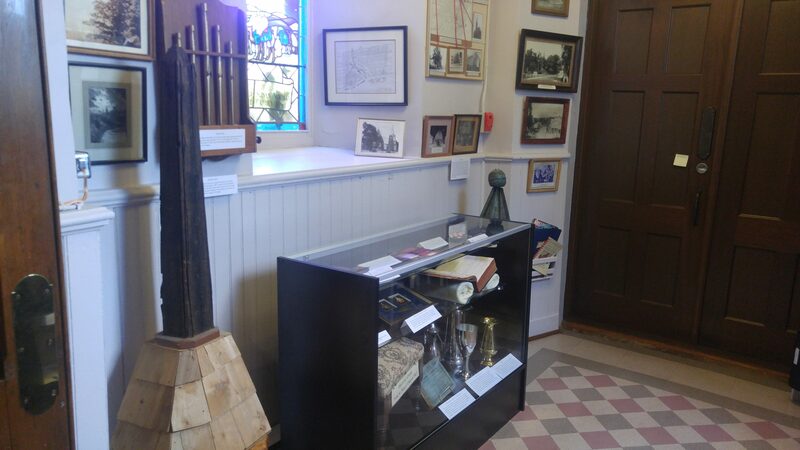 Visitors to the Church are welcome to explore the Bell Tower museum, which is accessible through the nave. See photos here. For more information, contact Bob Lang through the Church office at 905-828-2095.